The licensed, professional Raleigh & Durham based electricians at Bryant-Durham Services take their duties — and your comprehensive satisfaction — very seriously. We understand that electricity is the single most important element necessary for creating safety and comfort within your home. Let Bryant-Durham Services make your home more comfortable, attractive and valuable with electrical service upgrades including the installation and/or replacement of fixtures, outlets and much more. 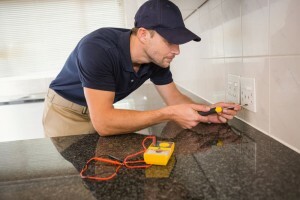 Bryant-Durham licensed electricians are fully-equipped and consistently trained to handle all of your electrical needs. Although we service thousands of new customers in the Raleigh-Durham area each year, we are still very dedicated to making sure that YOU receive the prompt and professional attention that you deserve. We provide you with highly-communicative, intuitive and expert solutions for all of your electricity-based challenges. And we genuinely care about saving you money in every way that we can. Bryant-Durham Services is here for you offering 24/7 emergency electrical services in Durham and Raleigh. Contact us or call (919) 383-9227 today! And remember – we have been taking care of thousands of residential, commercial and industrial electrical systems in Durham and Raleigh. strong>Listen to what our customers are saying about us. Commercial Generator Installation: It was a pleasure working with you, and your crews have been very professional and flexible to meet our needs. Copyright © 2019 Bryant-Durham Services 5102 Neal Rd, Durham, NC 27705 (919) 383-9227. All Rights Reserved.